B A N C O: For profit chain gangs in Michigan? Having family and friends in prison teaches you a lot about what things are like from "the inside." 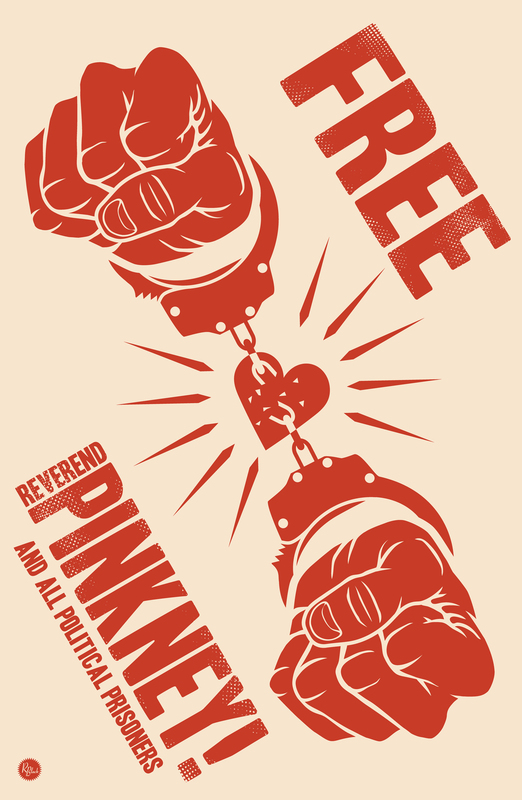 MWRO's comrade and Benton Harbor political prisoner, Rev. 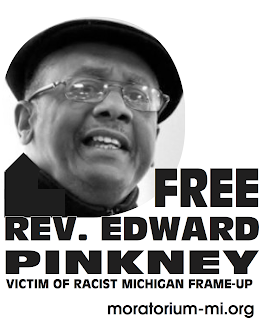 Edward Pinkney, has been moved around to at least half a dozen Michigan prisons since he was sentenced a few months ago for quoting the Bible. Doing time is a difficult experience for all involved and the guilty should be punished. But punishment should be fair and not exploit an already marginalized group. In Michigan, incarcerated men and women in many prisons work for Michigan State Industries (MSI)--a 1980 Dept of Corrections program that assigns jobs to all able-bodied prisoners. Fundamentally, MSI goals sound like a good idea, i.e., they provide "an opportunity for prisoners to learn marketable skills and to acquire sound work experience" while attempting "to address the problem of crime and the tension and idleness in prison resulting from overcrowding...." MSI has a map of all prison production locations where they sell and bid out items such as furniture, bed sheets, and outdoor banners online or through its Lansing showroom. "Prison officials can control virtually every aspect of a prisoner's life. They can decide her/his actions - when (s)he will awake and when (s)he sleeps, how much is spent on food, who can visit prisoners and for how long, whether to force a prisoner to sleep on a metal grating without a mattress, how long a prisoner waits for medical treatment, whether a prisoner spends 24 hours a day in a cell or 12 hours a day at back-breaking labor, and what arbitrary (useless) rules will be followed. How and when to punish prisoners in many different ways, including depriving them of all food except "nutri-loaf" (tasteless ground-up leftovers pressed into a loaf). It is all up to the Dept. of Corrections. In many states there is a move to remove gov. administration of prisons and privatize them for corporate profit. The labor of the prisoners belongs to the state but when the state transfers their interest to a private corporation, the labor of prisoners belong to the corporation. A corporation will run the lives of prisoners and decide how they shall labor and what they shall labor at. Do you see chances for profit here?" 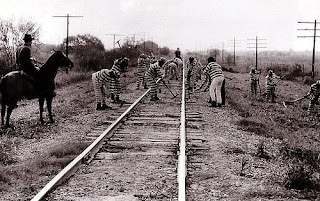 Prison labor is not new. It's been used for centuries to help contain incarceration costs and keep prisoners disciplined and busy. But in recent times, it's being increasingly used in for profit ventures. MWRO opposes the slave labor practice of requiring incarcerated human beings to make or build products for the highest bidder. Not only do these conditions prevent a worker from demanding a fair price for his or her labor, it contributes to abusive and inhumane conditions beyond typical institutional incarceration.